I flashed another SD card with Raspian and the RTC works perfectly there. So i know the hardware is fine. There seems to be something somewhere that is forcing the date and time back to Fri Feb 12, 02:28:16 (year 2006). I have looked and looked but cannot find anything anywhere. Going to GPS isn't an option as it won't give me anything other than a further power drain when i'm out in the field and i'll still have to set my mount manually initially anyway. Replied by Kaczorek on topic More RTC madness!!!! Last edit: 2 months 3 weeks ago by Kaczorek. Replied by BrianH on topic More RTC madness!!!! I noticed that when i ran lsmod|grep rtc it brought up details for the ds1307 (i have a ds3231)? I amended the config.txt to show a ds1307 but this still did not work. Replied by G_Gagnon on topic More RTC madness!!!! I could also make use of the information on making the RTC set the system clock as I am in a similar situation. 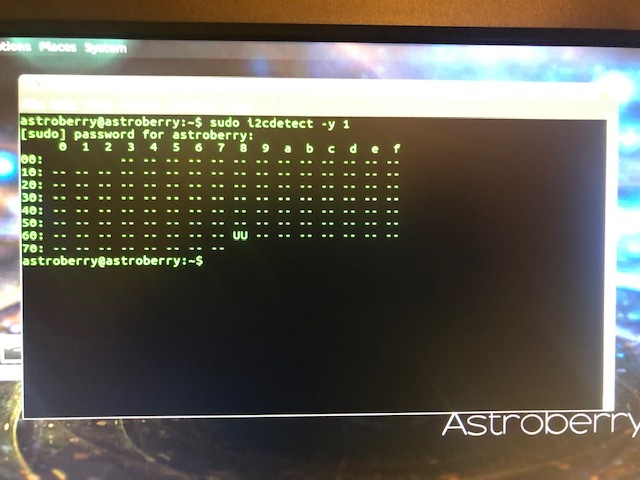 Stellarmate raspi with a DS1307 RTC which, from what I understand is a "less precise" DS3231. 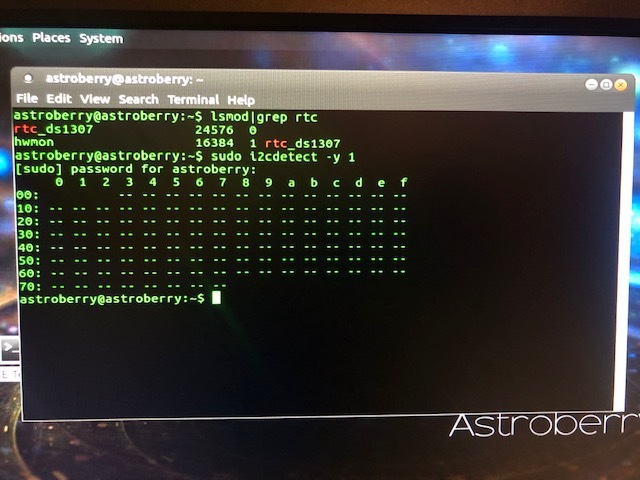 I have the same dtoverlay line in my /boot/config file; the RTC driver is loaded, from the i2cdetect command; haven't checked the output of lsmod | grep rtc. I know the RTC is accessible and works as I can issue hwclock -w and hwclock -r command to set and read the RTC but the RTC date and time won't be used at boot time to set system date and time. I can always set the system clock manually after boot but I would prefer the system to set it up automatically, especially in a headless configuration. Have you tried these manuals? The latter does not use dtoverlay, but instead assumes manual configuration of the rtc kernel module. Thanks for the info Radek. I'll add "hwclock -s" to rc.local and see if it fixes it when I get back home. Hope its "as simple as that", and that the solution can work for Brian and others. Just as a follow-up, adding hwclock -s to /etc/rc.local worked! The system clock is now set correctly when the system boots. If i type date; sudo hwclock -r i get both times simulaneoulsy but in different formats?? Do you think this could be the issue somehow? I also cannot find the Internationalisation Options in raspi-config??? When I issue "date; sudo hwclock -r" I get an output similar to yours. I don't have any Internationalisation Options in raspi-config either. Have you tried adding "hwclock -s" in /etc/rc.local, before the "exit 0" line? It solved the problem for me. Replied by yoandresmza on topic More RTC madness!!!! Thanks for reviving this thread. You made me realize that my suggestion (in #34237) of putting "hwclock -s" in rc.local was not quite correct; sorry for that. In my case, what worked was to put "/sbin/hwclock --hctosys" in rc.local (before the "exit 0"), not "hwclock -s" as mentionned in my previous post. " --hctosys" will set the system time and date with the time/date from the hardware clock. Sorry for the confusion, must have been my winter cold :-/ ! Replied by Ihoujin on topic More RTC madness!!!! You may need to put '&' at the end of the command in RC.local for it to continue properly.